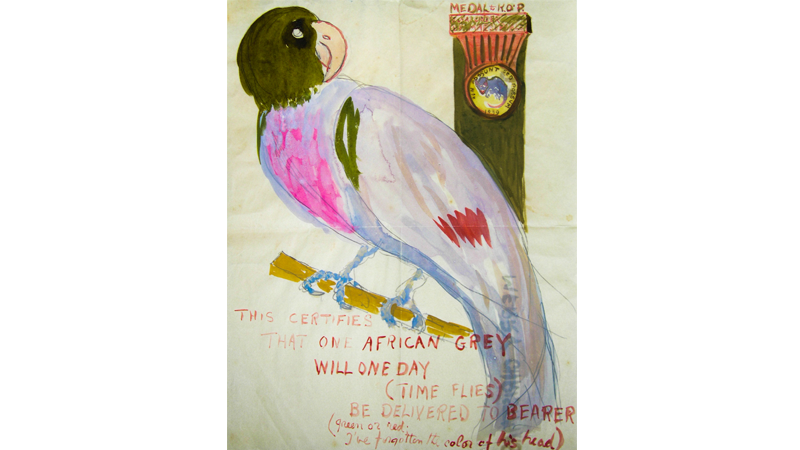 This certifies that one African Grey will one day be delivered to bearer. “THEY CANNOT BUT I CAN” in semi Latin. Parrot for Katharine Dos Passos.